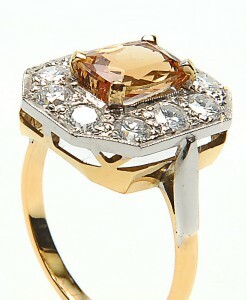 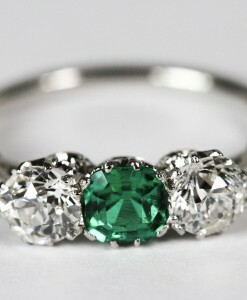 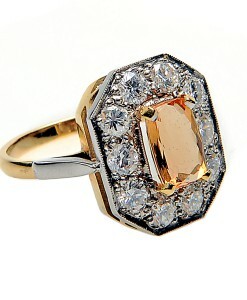 A 0.96ct emerald cut Diamond solitaire ring in 18K yellow gold. 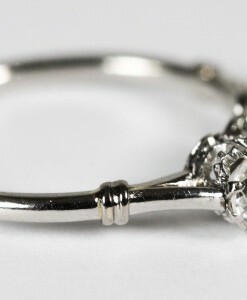 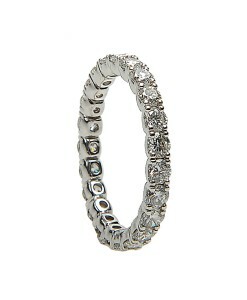 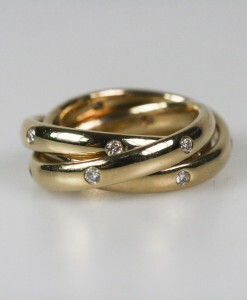 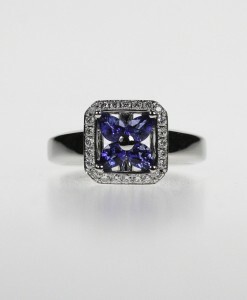 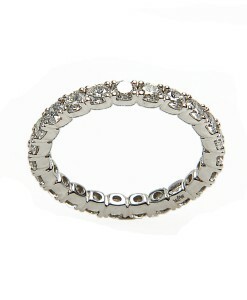 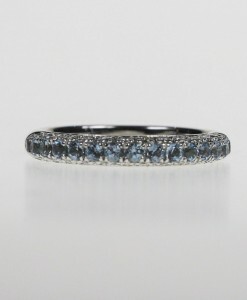 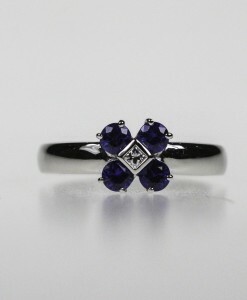 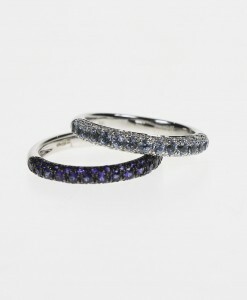 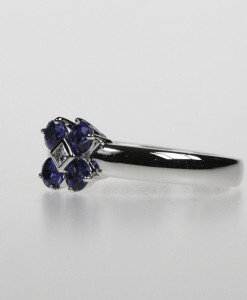 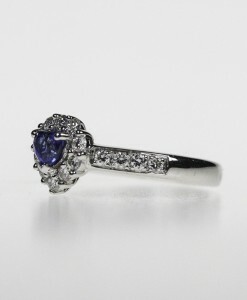 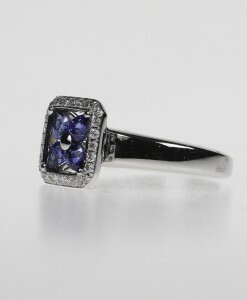 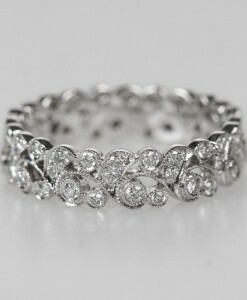 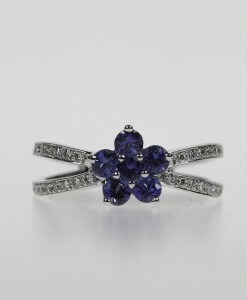 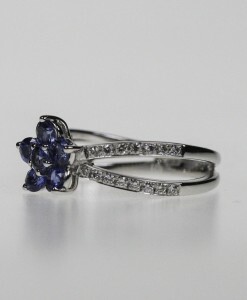 Blue Sapphire Flower ring with brilliant Diamond split shank. 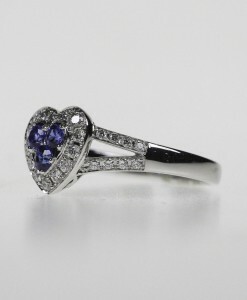 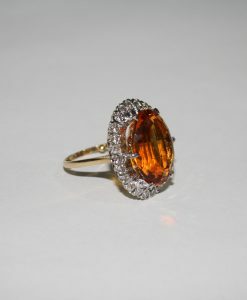 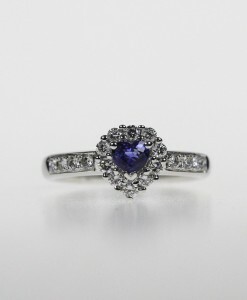 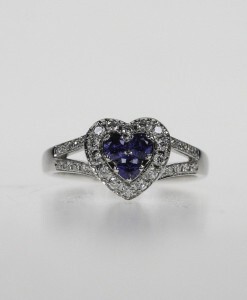 Heart Shaped Blue Sapphire and Diamond Cluster ring.